Marine Current Turbines has today confirmed that installation of its SeaGen commercial tidal energy system will commence during the week of August 20th in Northern Ireland’s Strangford Lough. At 1.2MW capacity, SeaGen will be the world’s largest ever tidal current device by a significant margin, and will generate clean and sustainable electricity for approximately 1000 homes. It is also a world first in being a prototype for commercial technology to be replicated on a large scale over the next few years…. Having now seen a number of different undersea rotors it’s clear that most are inspired by wind designs. However, given the different density and velocity of the resource (water vs. air) it’s curious that there aren’t more water specific designs. For instance, you might expect the most efficient rotors to mimic the screws seen on ships vs. propellers seen on airplanes. Perhaps one of our readers could offer an explanation for the design center choices around sea harvest rotor design. This entry was posted on Monday, June 11th, 2007 at 7:07 am	and is filed under Hydro. For what its worth – a TV show – “Building the Future” had a segment about placing a small wind type turbine in NYC’s east river. Their first attempt resulted in broken blades. So yes I agree some re-thinking is in order. Wind and marine current turbines can capture all the power on offer from relatively low thrusts and hence relatively small blade chords are all that are required. Thank you for the explanation Dr. Oram, that makes complete sense. 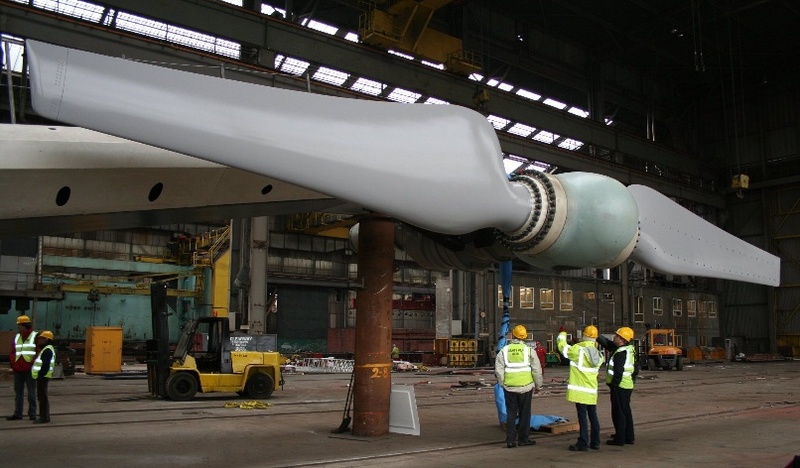 It was nice to find some information in regards to undersea mounted generation turbines. I live on a small South Pacific Island and would welcome any more information that any one can provide in regards to this idea. It would be nice to have an eco sustainable generation source for the island which has roughly a 2000 resident population. Any help/sources would be most welcome. Hi. Does anybody have any ideas for harvesting 200KW of electrical energy from tidal movement (about 1m)? I’d like into tidal barrage as an option. Don’t need much elevation if you can create a large enough holding area to capture the water and then channel it through a narrowing exit to increase velocity and pressure. For 200kw, that could be possible.